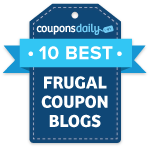 Olio Carli is offering up a really great deal on olive oil! 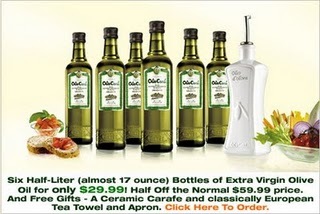 Currently, you can get six half-liter bottles of extra virgin olive oil, a ceramic carafe, a classically European tea towel, and apron for only $29.99. Plus, you’ll get FREE shipping! Just enter the source code 11110609.